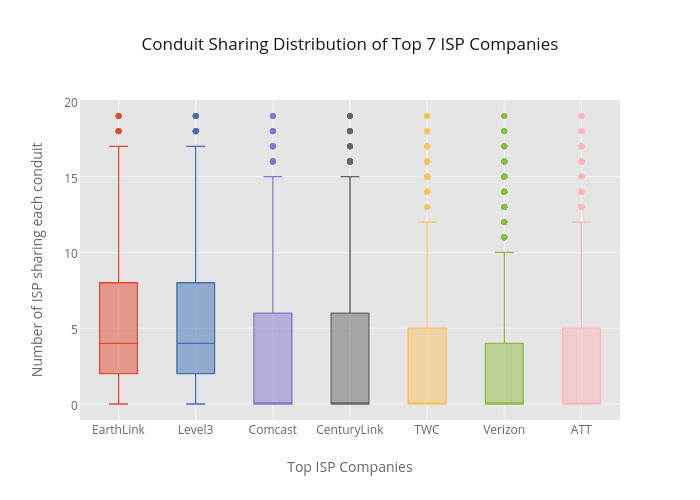 Richardafolabi's interactive graph and data of "Conduit Sharing Distribution of Top 7 ISP Companies" is a box plot, showing EarthLink, Level3, Comcast, CenturyLink, TWC, Verizon, ATT. The x-axis shows values from 0 to 0. The y-axis shows values from 0 to 0.